New Orleans Botanical Garden: I spent last weekend here biking around City Park, a quintessential NOLA summer activity. If you want to do the same (you should), be sure to first, check out the wildflower fields, which are pretty incredible and Insta-worthy (does this make me basic), and then head over to the Botanical Gardens. 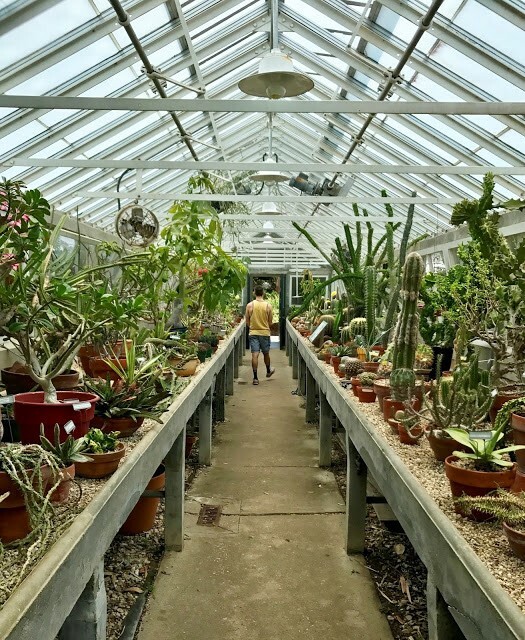 They have everything from amazing fountains, Japanese Zen gardens, a train village, and an amazing cactus and succulent greenhouse (check me out above). I think this place is super neat and one of the best kept secrets in NOLA. Make sure to grab a beignet from Morning Call Coffee when you're done! Now that we've got Blue Bikes in NOLA, exploring the Park couldn't be easier. Kayaking or Stand Up Paddle Boarding in Bayou St. John: Nestled in the heart of Mid-City is Bayou St. John, one of last visual clues that New Orleans used to be swamp land. Bayou St. John is an awesome spot to spend a hot afternoon, exploring the bayou and it's many tucked away treasures. Bayou Paddlesports rents kayaks and stand up paddle boards for cheap and even offers paddle board yoga classes. The best route is to paddle up the bayou around Demourelles Island and check out the neat Mid-City architecture just off the bayou. Top it off with a po'boy dinner at Parkway. Hotel Rooftop Hop: Summer in NOLA can get hot, but a breezy rooftop bar (or even pool!) is the perfect cure to the summertime heat. 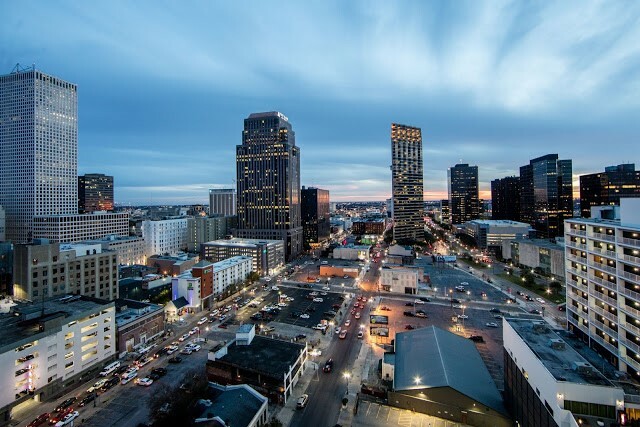 I recommend you check out Monkey Board in the new Troubadour Hotel, Alto atop the Ace Hotel, Hot Tin at the Pontchartrain Hotel, and the bar at the Catahoula Hotel. Rooftop pool, rinse, and repeat. Other great summer pools in NOLA include the Country Club and the Drifter Hotel. 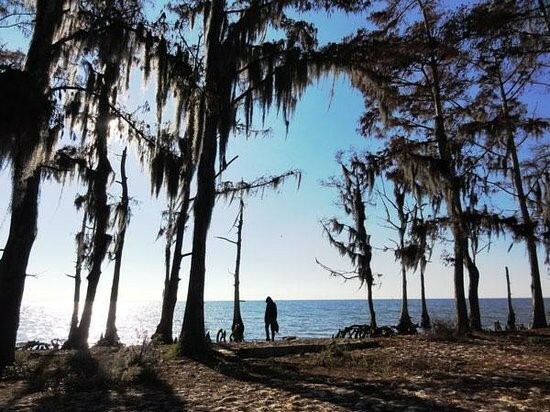 Fontainbleau State Park: For a lakefront respite just a short drive from New Orleans, check out Fontainbleau State Park, just on the other side of the Lake Ponchartrain Causeway. There are areas to lounge out on the beach and grill among some gorgeous live oak trees. If you're lucky, you might also catch a glimpse of a gator as you navigate the boardwalks through the sawgrass in the marsh. New Orleans Boulder Lounge: I love this spot, and it's perfect for when it gets too hot to do anything outside. 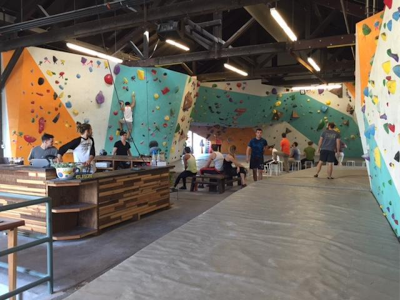 The gym offers climbing walls of various levels of difficulty complete with shoe rentals and optional instructor assistance. I also think its awesome how compassionate NOBL is; they offer LGBT climbs, transgender evening climbs, gender neutral restrooms, youth advocacy programs and operate under a very eco-friendly mantra. They've got student discounts too! Free Fridays at Tips: Every Friday night, during the summer, you can catch an amazing free show at Tipitina's, one of NOLA's most iconic music venues. The lineup is released as the summer goes on, but each Friday promises to offer an excellent lineup of jazz, hip hop, brass and rock bands. StudioBE: This is probably my favorite art gallery in the city right now. 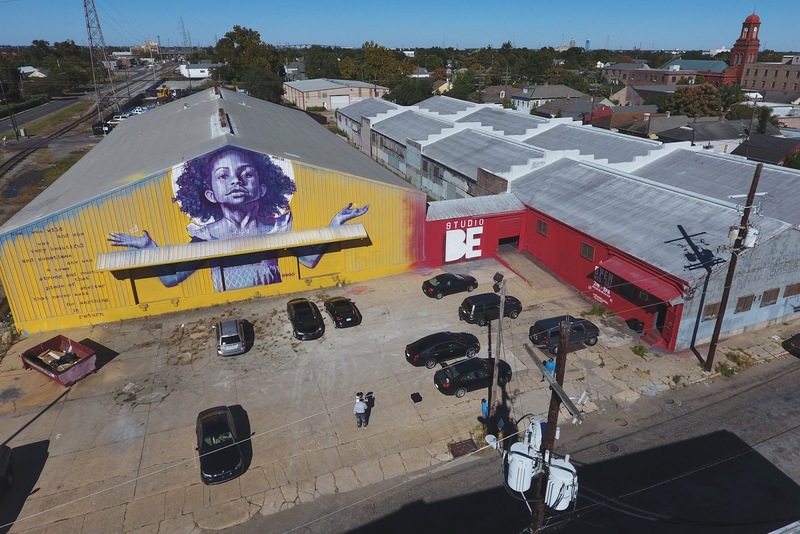 You might have seen New Orleans artist Brandon Odums' (or Bmike) art previously when Exhibit BE opened up on the Westbank. These days, he's moved his incredible and thought-provoking art to a 30,000 square foot studio in the Bywater called StudioBE. 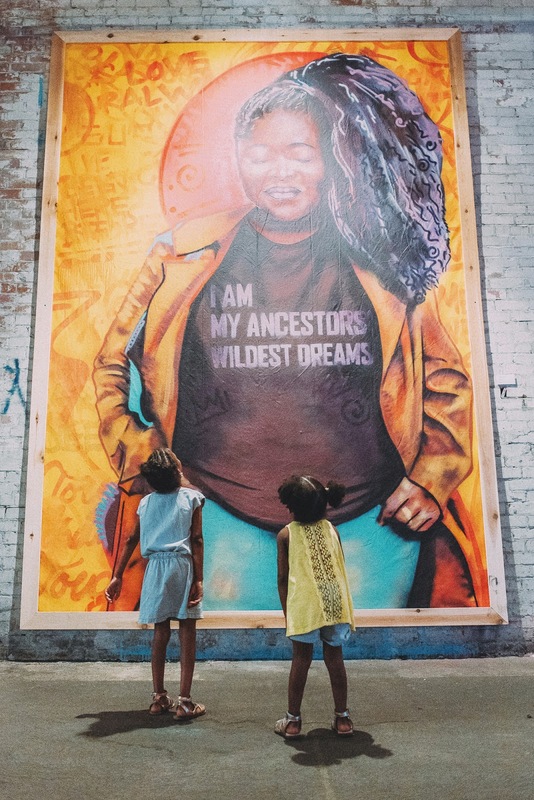 The space is incredible—you will not be disappointed as his art offers an introspective commentary on current social justice issues. There you have it! Have fun and stay cool out there. 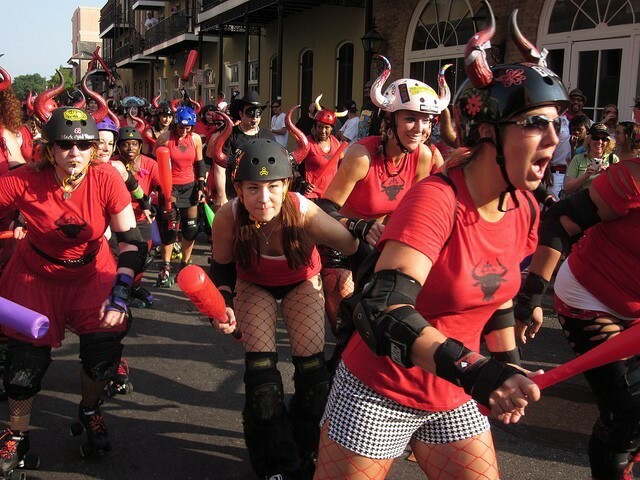 Comments on "8 Summer Activities in New Orleans! "